When I work with writers, a common difficulty I see is just getting the project started. A blank piece of paper or a flashing cursor on a new Word doc can be intimidating. As a result, it can be hard, if not impossible, to get those first few words down. The first question is up to the writer, but I can offer some advice regarding other worries. That is the $30,000 question. When you write something, you are putting yourself out there in a way that can make people feel very vulnerable. What if it's a bad idea? What if people laugh? We tend to be poor judges of our own work for a lot of reasons, and fear is a killer when it comes to expression. This is good news. Start your draft wherever you need to. Don't worry about spelling, punctuation, extra research. If I run into a question as I draft, I'll circle the word, throw a note into the margin or on a Post-it, and keep going. It's all getting cleaned up, so why worry? This is not to say it doesn't matter at all, because it does. It just doesn't matter all at once. The first draft is all about ideas. Get them down, and fix it up for public consumption later. 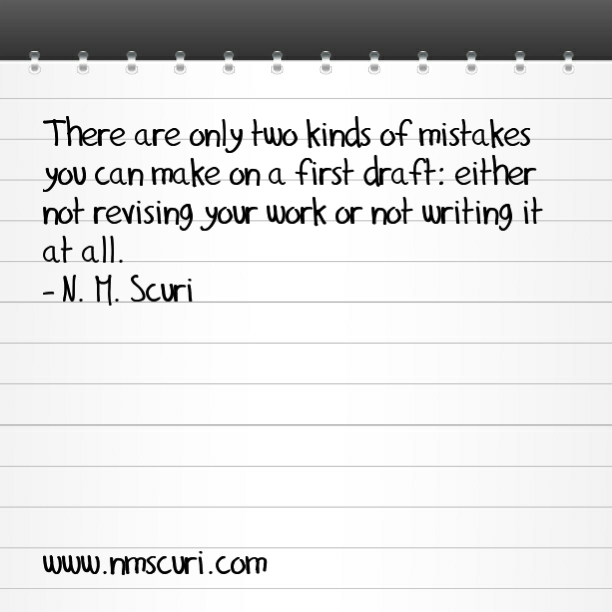 Think of the first draft as the no fail zone. You can't mess it up, so dive in. 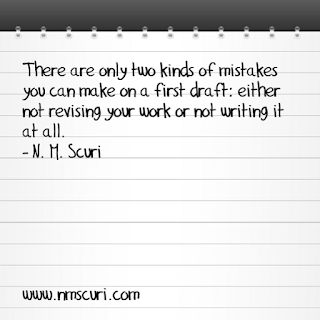 Have you tried using drafts for your writing? How did it work out for you? Let me know in the comments.